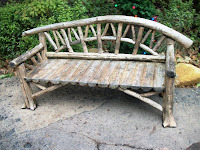 It is tough to sit down and rest when there are so many thrilling, heart-warming, and fantastical experiences beckoning to guests, but every once in a while, you just have to take a break. 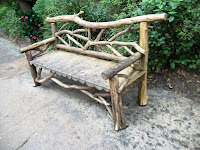 The benches found throughout Walt Disney World are meticulously detailed to relate to the area or land in which they reside. 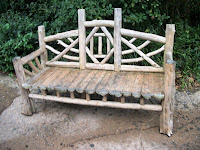 Often times, however, the benches in a particular showcase little or no change between one another. 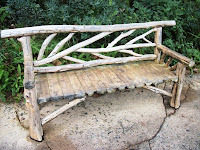 The woodsy story of Camp Minnie-Mickey is another tale all together. 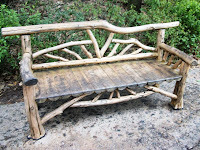 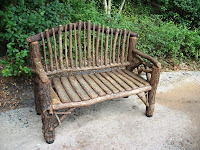 While the overall theme of benches cobbled together from found branches and wood, knots and all, is held across the board with all of the area’s benches, each bench is entirely unique. 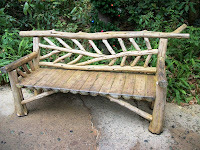 From different back forms, wood types, even the space between seating slats, the benches of Camp Minnie-Mickey offer a variety of choices upon which to rest your weary legs. 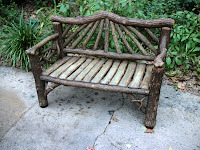 Enough talking, it’s time to take a look at a small sampling of the benches.